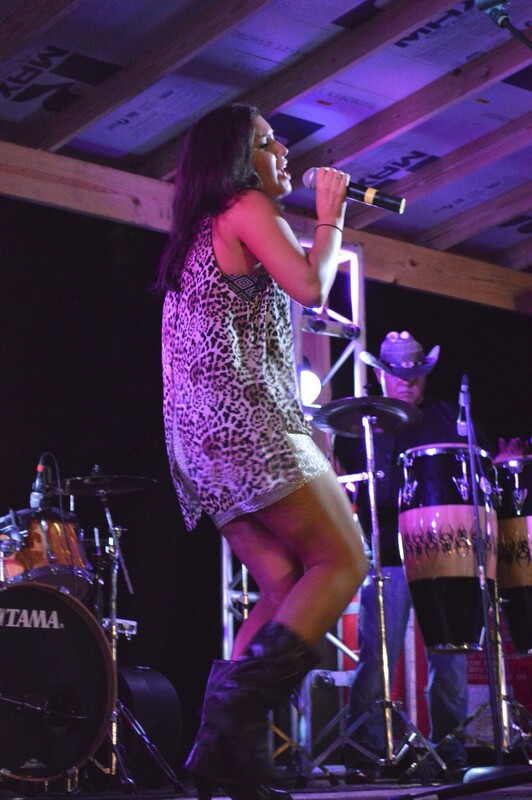 Three time American Idol contestant and two-time X Factor competitor, 25-year-old Ashley Borrero of Oak Hill, plans to become the next big Tejano singing star, the likes of Selena. Currently, she has been performing with a local Tejano bandleader who she hopes will write an original hit single for her. Borrero performed with the Tejano band, Vimana, led by Angel Gonzalez at Barbacoa and the Big Red Festival Oct. 13 at the R and J Pavilion in San Antonio. Gonzalez has been nominated as “Best New Artist – Male,” by the judges committee of the 2013 Tejano Music Awards scheduled for Oct. 19 in San Antonio at the Lila Cockrell Theater. The song he wrote and sang to earn the nomination was “No Debes Jugar,” which was also used in the soundtrack for the movie, Agony, released by Reel Talk Films. Last year Gonzalez also was nominated for a Tejano Globe award. Borrero performed on stage with Gonzalez and his band at the end of the day’s events for St. Paul’s Catholic Church fair in Austin in Austin Sept. 27. The two sang the cover song, “Juntos Hasta Murir,” as a duet. The song originally sung by Jesse Turner and Elida Reyna, earned them the title of best male and female vocalists and “Duo of the Year” at the 2012 Tejano Music Awards. Borrero and Gonzalez hope that their musical partnership becomes just as successful. “It was something that was really different – as far as doing two lead vocals on stage, but it was nice. You get to share the stage with somebody and you don’t get so tired out,” Gonzalez said. Other band members include keyboardist John Garza, and John’s father-in-law, Sam Sambrano, who plays bass; guitarist Mike Sevilla; drummer Sammy Gamino; and percussionist Javier Ramirez. “What is great about Angel and I is we are friends. We have a good rapport with each other on stage. I do a lot of things on stage that he doesn’t do and he does a lot that I don’t do. We kind of balance each other out. It’s a win-win situation,” Borrero said. Borrero and Gonzalez met while auditioning for Canta Tejano Idol in 2011. 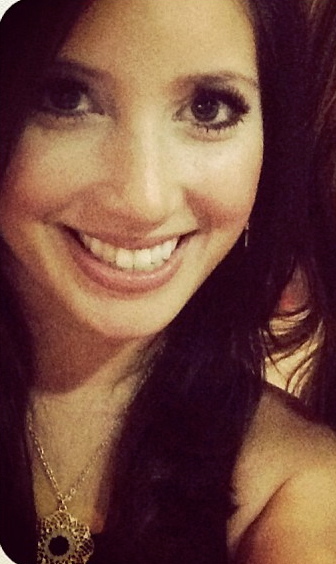 She and Gonzalez’ images that year graced the cover of The Austin American Statesman’s Austin360 section. The band has been practicing regularly with Borrero over the last couple of months, singing covers. Her “Plan A” is to release a single original recording by the end of the year for air play on Tejano radio stations. She also will continue to work her “Plan B,” competing in 2014 as a serial contestant on live reality talent shows like X Factor and American Idol. She also hasn’t completely dismissed the possibility of acting someday. Meanwhile, she works a day job and performs with Gonzalez along with his band Vimana at events throughout Austin and San Antonio. Last March, her mom, Josie, and her younger sisters, Lesley, 23, and Courtney, 20, traveled with her to New Orleans, to compete in the X Factor. She had auditioned for X Factor in Austin in March of 2012 and the show’s producers immediately selected her from more than 7,000 people to advance to the second round. However, she failed to advance to the third round of competition. “I actually liked that – being in the over 25 group, because I look younger than 25; so I knew I would actually stand out in that group when I sang,” she said. For American Idol contestants must advance through a gauntlet of four tiers of competitions. The competitions at the first round involve about 10,000 and the second tier included about 200 people – it’s all one group and acts do not segregate by gender or age. Borrero first caught a glimpse of a large live audience and famous judges as an audience member when she and her family paid to attend an X Factor recording in Austin at the Frank Erwin Center in August of 2012. “The host of the show asked if there was anybody who could sing or who had tried out. My mom got me to raise my hand and I got to stand up and sing in front of everyone. I just loved that whole experience. I thought it was so different than American Idol. So when X Factor came to New Orleans I decided to audition again,” she said. They booked a hotel and they planned a vacation trip to New Orleans, but they had car trouble. So they rented a car, but the seven-hour trip ended up taking nine hours instead. Borrero sang Selena’s “Contigo Quiero Estar,” the same song that Borrero sang a cappella at Tejano Idol in 2011. She also sang it last spring in New Orleans a cappella for producers of the X Factor. When Borrero returned to her hotel, she knew that she still needed a couple of back up songs. She fretted over her song choices. “I have always had a tough time picking audition songs. For me, the Spanish came a little easier because it’s different. Especially in New Orleans, it was unique for me to sing a Spanish song. It would not be unique here in Texas to sing a Spanish song because so many people are bilingual. I knew that they were going to ask me to sing another song. I sang three songs total. They loved the Spanish song. I could hear them debating whether to allow me through, but I also sang ‘Mama’s Broken Heart’ by Miranda Lambert and ‘New York State of Mind,’ the Glee version,” she said. Borrero does not yet have a talent agent or manager. Another round of competitions begins next spring in 2014. X Factor provides all of their competitions in March. American Idol schedules all of their competitions during the summer. Borrero plans to compete again. “Where I’m coming from is, I’m looking for the best song choices. I always love to sing ballads. That’s my thing, but in a performance everyone wants a dance song. I have to keep it upbeat. It’s something to come to terms with until people will stand around and let me sing a few ballads,” she said. A lot of Tejano musicians come from San Antonio; there are not many in Austin. “I don’t think I’ll be going into a studio with a song until probably late November. I’m a perfectionist too. Before I even step into a studio I would make sure that the song is where it needs to be and my voice is where it needs to be. I don’t like synthesizers or tuners. Of course there is tweaking and fine tuning to do, but I want whatever plays on the radio to sound just like I would perform live and to stay true to the artistry of singing,” she said. “For a good while I was pretty frustrated. You come out of high school and you have all these ideals of how your life is going to take off and then reality sets in. I’ve come to terms with my age. Right now, I’m in a really good place. I know exactly who I am. That’s when good things really start for you. Now I’m able to go after everything I want, coming from an adult realistic place,” she said. Two years ago, Borrero made it through to the second round of the competition held in Austin for American Idol. She’s hoping that her big break will come in December when she records and plans to release a Tejano single, sung half in English and half in Spanish. The 2006 James Bowie High School graduate grew up in South Austin listening to the music of Selena Quintanilla-Perez, an American solo pop Latina star known simply as Selena, who died in 1995. Borrero feels deep cultural and historical roots in Tejano music. Austin’s radio station 102.7 FM plays pop and some Tejano music and so does KTXZ 1560 AM. Tejano music may be subdivided into genres such as conjunto, mariachi, ranchera, cumbia, Reggaetown and corrido. “The cumbias have a little bit of a beat to them that you can dance to, or you could have the rancheras that have a little bit more of a romantic feel. There is so much you can do with it; there’s so much that it is,” Borrero said. Tejano music defies Spanish music’s stereotypical labels. Borrero grew up listening to Tejano music at home. “My parents listened to it and they grew up with it, they danced to it. They would go to dances, weddings and quinceaneras and the music would be playing,” she said. 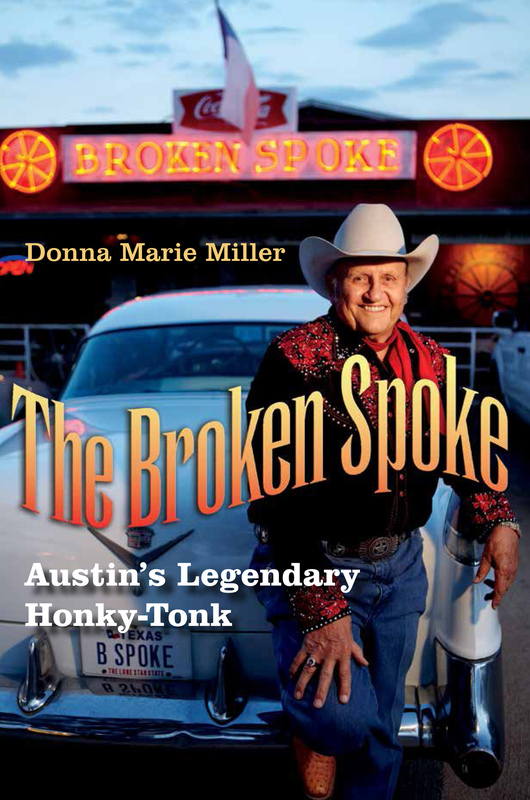 Her father, Mike Borrero owns Mike’s Formal Wear in Austin. Her parents and their three daughters had plenty of opportunities to hear Tejano music played live for festive occasions. Borrero started singing Tejano music while she was still enrolled at Kiker Elementary, performing in her third grade choir, the Kiker Keynotes. She sang in sixth, seventh and eighth grade talent shows at Bailey Middle School. Then she performed her freshman year in Bowie Idol in high school. Once she joined Silver Stars her junior year, she put her singing career on pause. Her senior year, she competed for the first time in Austin for American Idol. “Up until that point I had great confidence in everything I did. Everything that I had tried out for, I made. So when I went into the audition, I went in thinking ‘oh this is going to be so much fun and I’m going to be in the show.’ I had these high expectations. I was only 17 years old. So I auditioned and I bombed,” Borrero said. In June of 2009 after her grandfather, Angelo Borrero, passed away and again she tried out for American Idol, this time in Dallas. “That hit me really really hard. So I decided that I was ready to tryout for American Idol again, because I knew that he would want me to live my dreams and I wanted to do that for him,” she said. She did not advance beyond the first round of competition, but she did not feel discouraged. She also joined the choir at St. Catherine of Siena Catholic Church and she started taking private voice lessons from music teacher Blythe Cates. She also started attending Austin Community College and enrolled in musical theater courses. Borrero has been singing since she was three years old. The first song she learned to sing was “Touch Me All Night Long,” released by Cathy Dennis in 1991 for the movie soundtrack: A Nightmare on Elm Street 2; Freddy’s Revenge.